As consumers, our view of ‘technology’ is often limited to smartphones, tablets and other gadgets that make our daily lives better. It’s unlikely that you tend to consider the innovation and technology capable of changing people’s lives for the better in the developing world, where poverty is high and quality of life can be poor. Such technology isn’t exactly right in your face, displayed on bold ads in the papers and on billboards, so it may well pass you by. It’s easy to take lighting for granted. If it gets dark, we just turn the lamp or main light on. This isn’t the case in some countries, where electricity is something of a luxury and unrealistically priced for many. The Luci Solar Lantern is a great example of a product capable of combatting this problem. Designed by Mpowered, it’s capable of lasting for between 6 to 12 hours after a solar charge. What’s also awesome is that it’s collapsible for being used on the go and is waterproof and shatterproof. These are two new affordable premium Android Lollipop smartphones developed by former Apple CEO John Sculley for the developing world – costing under $250. Although it’s unlikely Obi will ever become a household name in the West, it’s interesting company. Its flagship handset is the Worldphone SF1, which comes touting a 5-inch full HD display (1,920 x 1,080 pixels), a Qualcomm Snapdragon 615 processor, a 3,000mAh battery and a 13-megapixel camera. It’ll sell at $200 for 16GB and $250 for 32GB. There’s also the SJ.5, which is the cheapest of the two. There’s still a 5-inch display, although it’s not quite full HD (1280×720 pixels) and only runs on a quad-core MediaTek processor. That said, the battery remains the same as the SF1, at 3,000 mAh. It’s available in 16GB and 32Gb versions and starts at $130. In the developing world, diseases can prove difficult to diagnose and treat. The Holomic Smartphone Microscopy could be just the answer. Dubbed the world’s smallest microscope, weighing 200 grams, it’s portable enough to be carried around by health professionals in the remotest of locations. And it certainly seems to be effective, with it capable of detecting single 100nm particles and human cytomegaloviruses. Homolic also sells a Smartphone Bloos Analyzer. One of the biggest challenges in poor countries is the lack of fresh, clean water. According to the United Nations, 884 million people aren’t able to access safe water supplies – putting them at the mercy of deadly diseases. 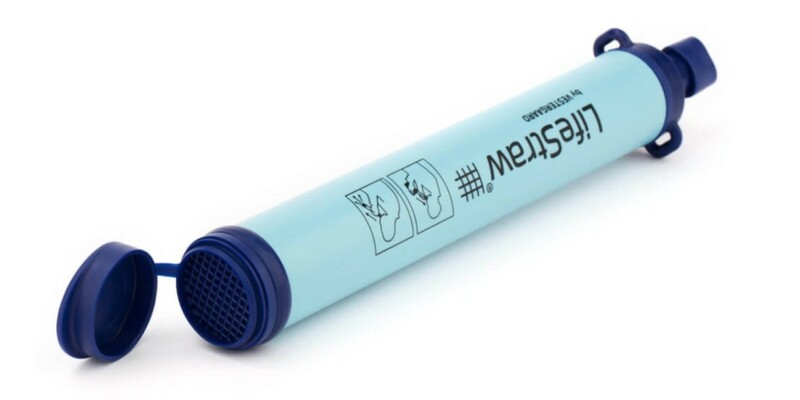 The Lifestraw could change this, though, and save so many lives at the same time. It’s a water purifier developed in Denmark capable of killing 99.9 percent of bacteria and filtering 1,000 litres of water in its lifetime. It costs around £25 to buy and is commercially available from gadget website Firebox. We come straight back to the fact that the lack of healthcare in developing countries is a major challenge. It’s believed that a staggering 50 percent of the population in emerging markets don’t have access to basic treatment and care. Is there a solution? Babylon comes pretty close. It’s a personal health service aimed at making healthcare more accessible and affordable. To do this, it combines advanced technology with the best clinical experience. There’s a consultancy service connecting patients to GPs and medical specialists, and it’s available for twelve hours a day, six days a week – and all in one app. It uses AI and health data to help to diagnose patients and includes a text-powered ‘ask’ function, which is completely free to use. Another major issue in developing countries is the shortage of laborers, which is devastating for farmers with little income or resources. This can lead to poor harvests and lost incomes. Social enterprise HelloTractor is trying to solve this by building up a network of smart tractor owners poor farmers can rent from. These low-cost smart tractors have been built to work with a variety of crops and stages of the production cycle, and they all come with GPS antennas allowing Hello Tractor to track their usage and gather data on location, market trends and uptake. The HelloTractor booking systems lets farmers request, schedule and pay for these tractors simply by sending an SMS message and by using mobile money. Once this process is done, the payment is sent directly to the tractor owner. In countries like the US and UK, connecting to the internet is extremely easy and a part of everyday life. This isn’t the case for many other destinations in the world, where mobile and wi-fi connections are far from normal. BRCK, a battery-powered wireless modem, is being described as a ‘the back-up generator for the internet’. Running off a 3G-enabled sim card, it can provide internet access to 20 devices at the same time, has an eight-hour battery life and is super durable. The device also comes with access to the Brck Cloud, allowing users to check on their Brck whenever they need to, regardless of where they are. It costs $249.99. The PowerPot, a portable electric generator that also doubles as a cooking pot. Using thermoelectric power generation, it’s capable of generating heat involved in the cooking process into electricity. Clever, right? The pot has been developed in 5- and 10-watt versions (costing $99 and $149 respectively), and each is capable of charging two smartphones, MP3s and LED lights. Transferring and receiving money in developing countries isn’t always simp,e. There’s major lack of banking infrastructure, with there thought to be 2.5 billion unbanked people in the world – yet around a billion can access mobile technology. This opens up the potential for mobile money, and WorldRemit is an excellent example of a platform pushing this area. It lets anyone with access to a smartphone, a tablet or a laptop send money to friends or family just by confirming where they want it to go and how they want the transaction to be completed. Both the sender and the receiver get notifications via SMS or email to confirm that the money has been sent and arrived. The can currently be used 24/7, without any contact with agents, and in over 50 countries for senders and 120 for receivers.